I work on my own writing in my blog www.swotwinesblog.wordpress.com, organizing private wine tastings and selling wines. Restaurant Shunka. I enjoy a lot every time I go for dinner at this Japanese restaurant in Barcelona, specially eating “uni”, “saba” and “katsuo and toro tataki” while drinking some acceptable sake and shochu. Bar Quimet-Quimet in Barcelona. It is my second home, and I feel very fortunate to have it nearby. Good question, and difficult to answer, as good company uses to be more important than the meal itself. If I were to choose one, I would say that it was at the Restaurant Cal Xim, sited at Sant Pau d’Ordal (Barcelona). First quality raw ingredients, extraordinary wine list (and spirits) and excellent service made that experience memorable. Not really. I like to try new ones and experiment. I like to cook for friends and I use to do it quite often. They say my arròs negre (black rice made with a lot of cuttlefish ink) is really good. Monvínic in Barcelona. Thousands of references in a cozy space served for very good wine waiters. None. I appreciate very much the work of all of them, as everyone is bringing a bit of their souls, regardless if they are working in a small or a big company. At the moment, I am very close with organic wines. 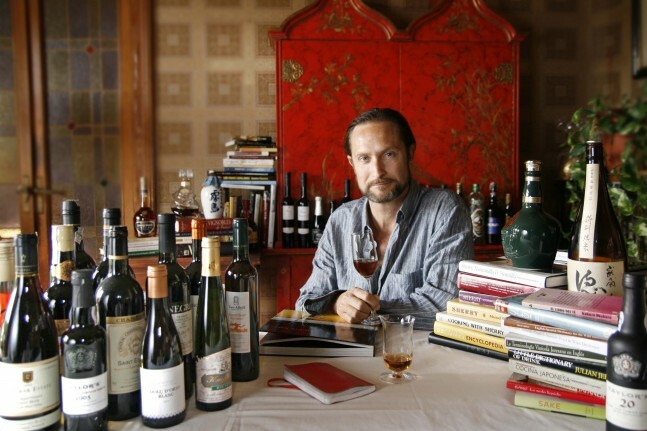 I use to drink Fino, Manzanilla and Amontillado quite often. That is my core team. Besides this, I use to taste anything available, especially if it is different from what I have tried before. Just in a word, SHERRY. What’s your latest wine discovery –new region, variety or style? “Crusted”. A typology of port wine. DO Montilla-Moriles (Spain). A fantastic destiny to get into the fortified Spanish wines while visiting the legacy left by Muslims and Christians. Poetry, people, sun, ancient culture, wine, food… What else could I say?